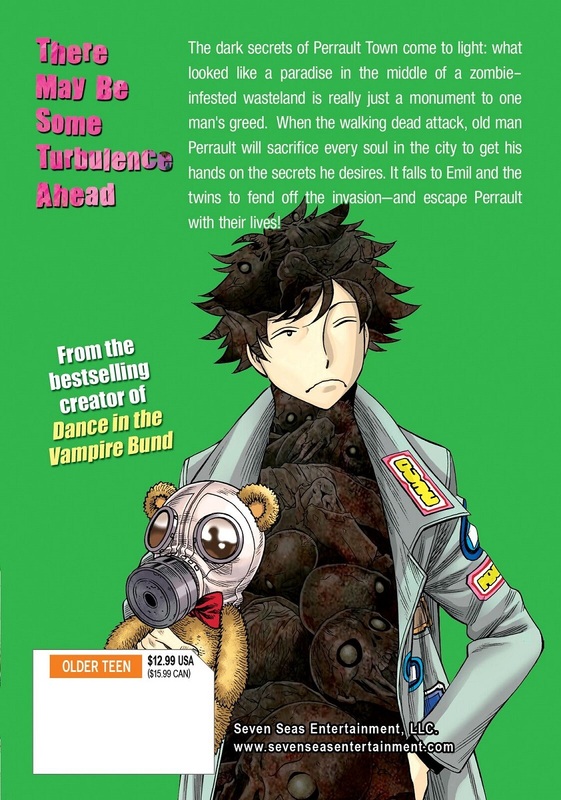 Soul Liquid Chambers manga volume 2 features story and art by Nozomu Tamaki. The dark secrets of Perrault Town come to light: what looked like a paradise in the middle of a zombie-infested wasteland is really just a monument to one man’s greed. When the walking dead attack, old man Perrault will sacrifice every soul in the city to get his hands on the secrets he desires. It falls to Emil and the twins to fend off the invasion–and escape Perrault with their lives!